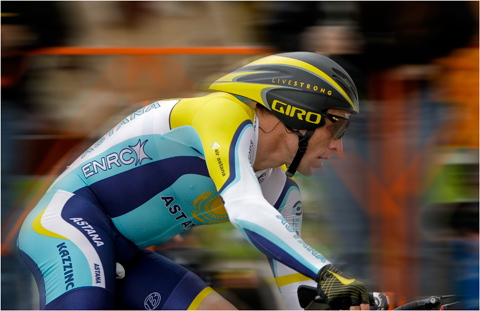 When you think of cycling, there is practically no other name that comes to mind other than Lance Armstrong. His legacy in the world of professional cycling will last for many years. Last fall, Lance Armstrong announced that he was planning to race in the 2009 Amgen Tour of California with the Astana Cycling Team. Amgen is cycling’s most important and successful road race in the United States. After a three-year hiatus from racing, the world’s reaction was widespread. Some doubted he could regain his championship form, but most others proudly cheered him on. Lance Armstrong, the cycling icon was back. Just completed, the Amgen Tour of California was Armstrong’s first event on his native soil since the seven-time Tour de France winner began his comeback. Armstrong announced he will address head-on the suspicions of doping that have followed him for years, by submitting to a rigorous testing regime. Armstrong was the center of attention when four bikes of the Asthana team are stolen in Sacramento. The stolen bikes included a one-of-a-kind 10K dollar bike of Lance. Using the Internet, Lance communicated about the theft to his fans using Twitter. Lance was grateful that the Sacramento police recovered two of the four lost bikes, including his. The Amgen was won by Lance Armstrong’s Astana teammate Levi Leipheimer, who clinched his third straight victory in the Amgen Tour of California. Lance was born September 18, 1971, in Plano, Texas. Cycling was in his blood from an early age. 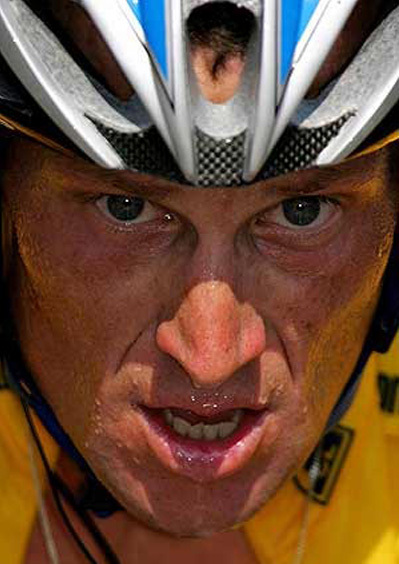 In 1996, Armstrong made a shocking announcement that he was diagnosed with testicular cancer. The tumors were well advanced and spread to his abdomen, lungs, and lymph nodes. The testicle was removed, and Lance began his racing comeback. The most remarkable feat of Lance’s famous career, is how he dominated the Tour de France. The Tour is the toughest and most prestigious cycling event in the world. Armstrong won the premier racing event 7 consecutive years, from 1999 to 2005.